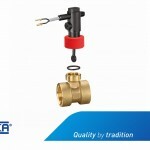 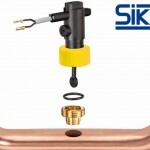 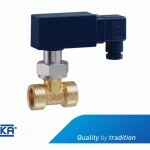 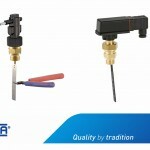 The Sika VKS/VK3 with PVC tee piece uses the VK type flow switch but extends the package with the option of either enclosed switching head (VKS) or the standard 1.5m cable (VK3) available as a normally open switch with glue fit PVC tee pieces in sizes from DN15 to DN50 and set points from 5.1 to 40 lpm across the range (see notes). 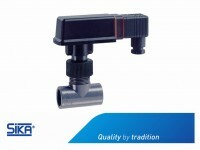 The construction is PPO Noryl GFN 3 and PVC and is suitable for use up to 60°C. 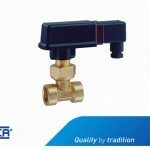 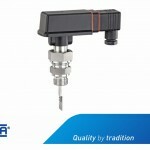 The VK3 switch comes with a 1.5m PVC cable while the VKS is available with either DIN 43650A or M12 x 1 electrical connectors.